Affordable alternatives to offset the cost. When you’re running around after a toddler all day, thinking about his college education may not make it to the top of your priority list. College may seem a long way away, but your child’s first day of preschool can quickly turn into his freshman year. We all know that the value of a higher education is undeniable. However, the price of receiving a college education is also undeniably high. During the past decade, college costs have increased nearly 51 percent. Many families rely on financial aid to combat these costs, thinking that assistance will come in the form of scholarships and grants that do not have to be repaid. The fact is about 60 percent of federal financial aid is in the form of loans that not only have to be repaid, but also done so with interest. As a way to offset the need for loans and keep families from getting saddled with debt, Section 529 college savings and prepaid tuition plans are manageable and affordable alternatives. A 529 plan is a tax-advantaged investment plan designed to encourage saving for the future higher education expenses. This means all withdrawals from 529 plans for qualified education expenses remain free from federal income tax. Many states mirror the federal tax advantages for 529 plans by offering state tax-deferred growth and tax-free withdrawals for qualified higher education expenses. Saving for a loved one’s college education is one of the most rewarding things you can do for his future. But, it can be challenging if you don’t know where or how to start. 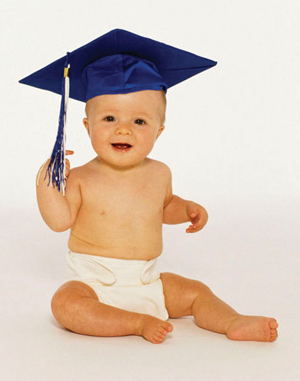 To begin, the College Savings Plans Network (CSPN) recommends the following steps. Determine how much you want to save for your child’s education. Do you want to save for tuition only or room and board, as well? Are you planning to fund four years of college, or just two? Will the school be public or private? Defining your goals will help you to establish how much you should save and measure your progress. Nearly every state offers at least one 529 plan. You can determine which college savings plan is best for your needs by comparing 529 plans by feature and state. States often offer special benefits for residents such as state income tax deductions/credits, matching grants, or scholarship opportunities. Many people who select a 529 savings plan choose age-based investment options, as the account will automatically adjust the risk level as the beneficiary grows up. Use a college cost calculator to determine the estimated cost of college when your child is ready to enroll. This could help you decide how much to incorporate into your monthly budget for college savings. Or, you can choose to save nearly any amount of money that your family budget allows. If you can, start saving as early as possible, right after your child is born. The earlier you start saving the easier it is. You’ll be able to put away a smaller amount and will have more time for your money to potentially grow. It’s never too late to start, but the later you do it, the more aggressive you’ll need to be with your investments. Take a look at your budget and see how much you can dedicate toward saving for college. Many plans offer minimum contributions that are as little at $25 a month. Even that small amount a month can add up over time. The key is to get started and gradually increase your monthly savings over time. It’s also advisable that the account owner routinely reviews the account and determines if the risk tolerance or life circumstances have changed. Things like having another child or a change in job status can influence how much you can afford to save. Review and adjust your savings strategies accordingly. With summer wrapping up and the school year about to begin, now is a good time to get education on the mind. Further, September is College Savings Month. Take advantage of the back-to-school spirit by considering investing in a 529 plan. Saving for college can be overwhelming for everyone, but if you’re armed with knowledge, planning, and the right tools, affording it becomes a real possibility. Michael L. Fitzgerald is the chair of the College Savings Plans Network and is serving his eighth term as Iowa State Treasurer, making him the current, longest-serving treasurer in the country. In 1998, Iowa passed legislation to create Iowa’s direct 529 plan, College Savings Iowa, and named Treasurer Fitzgerald as its trustee and administrator. In 2006, he opened an advisor-sold plan: the Iowa Advisor 529 Plan. Both plans offer families an easy, tax-advantaged way to prepare for future college tuitions and expenses and have more than $2.6 billion in college savings. For more information on 529 college savings plans, visit www.collegesavings.org.